Right Click the project source node then select “Replace Source”. Load an alternate source image / model from file. Drag / Drop an image from file over the project source node then click Yes on the popup dialog asking to replace the source. 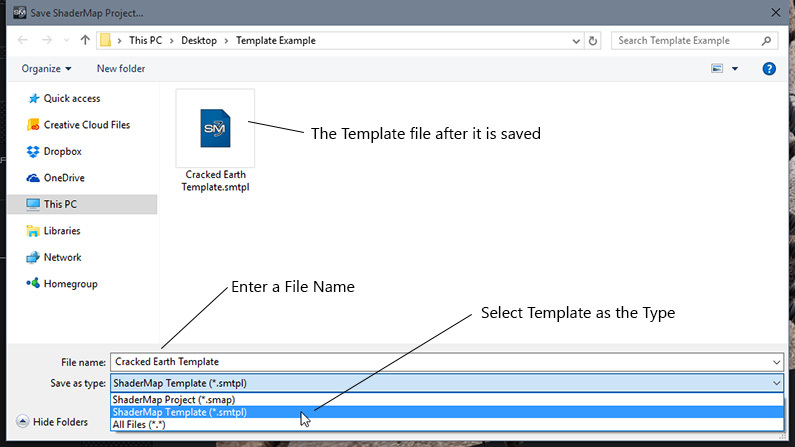 Save the Project as a Template file. Load the Template from file. Click on each unlocked source node and load image or model from file. (Optional) Add to the Template Library. Click the Save As button located at the top of the application window. This will bring up a Save As dialog. Enter a file name for the Template. 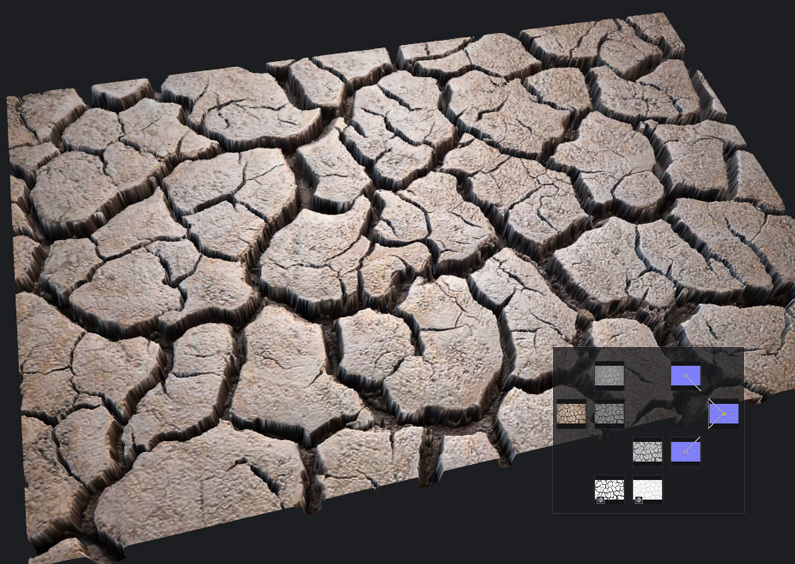 In this case I have called it “Cracked Earth Template”. Next select the Type of file to save it as. 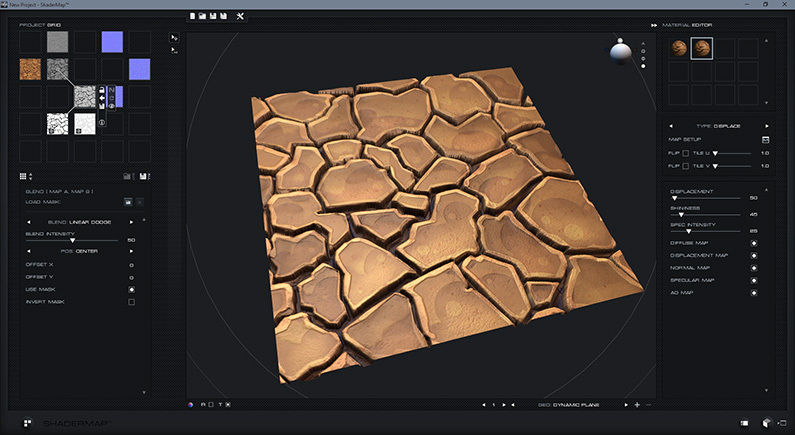 Select “ShaderMap Template” from the drop down list. Once the Template is saved it will appear as a Blue Project Icon. Regular ShaderMap Project files are black. On the blank node (colored blue) click the folder button located at the center. This will bring up a load file dialog. 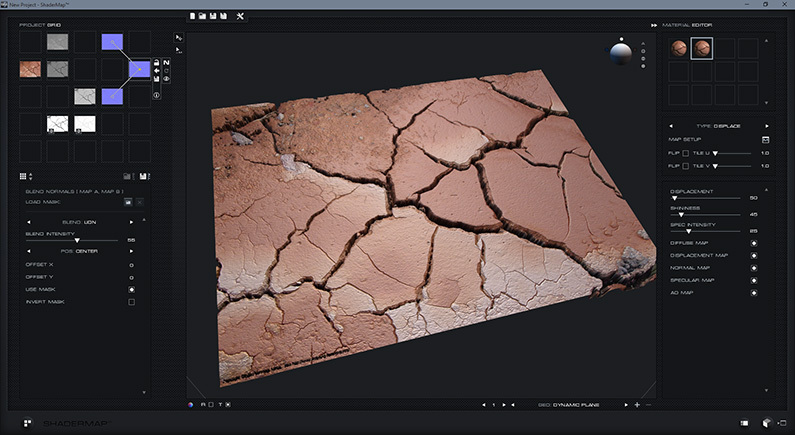 Locate and load another source image of cracked earth and the maps will begin to render. Certain values such as the Threshold filter on the initial displacement map can now be adjusted as well as the Normal Intensity, Auto Edging, and Blending to get the desired output. Below are a couple of examples. Update: In version 4.1 this folder is called "SM4_1"
Once this is done restart ShaderMap and the it will appear in the Template Lib drop list on the Start Screen. The Template will remain in the library until it is deleted from the library folder.